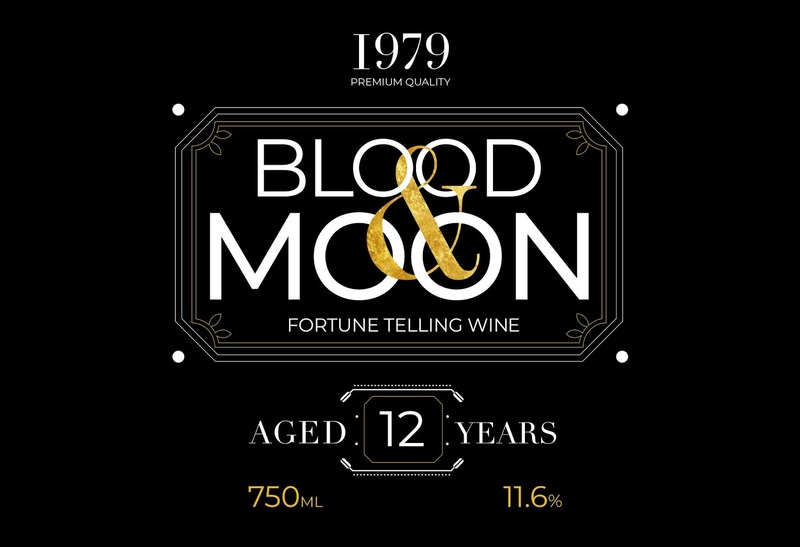 Blood & Moon, Fortune Telling Wine is an interactive wine label that is a modern day take on the traditional fortune telling "Tarot" cards. 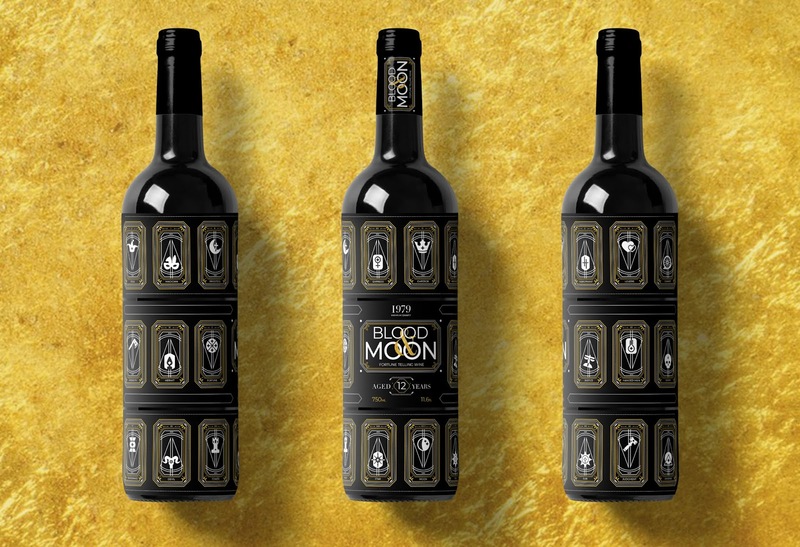 With this wine you can experience a creative reading from the cards depicted on the label, and learn more about their meanings. 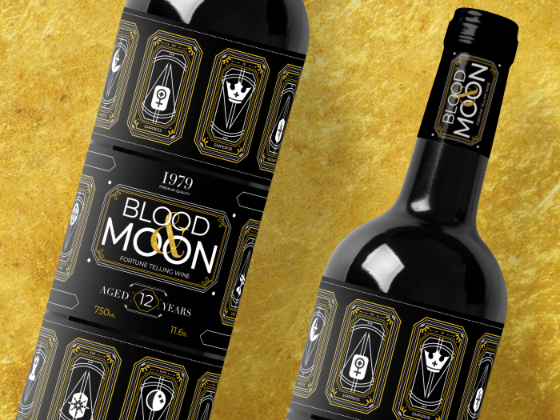 I sought out to create an interactive wine label unlike anything before. I want the viewer to be fully involved in the interactive nature of this experience. 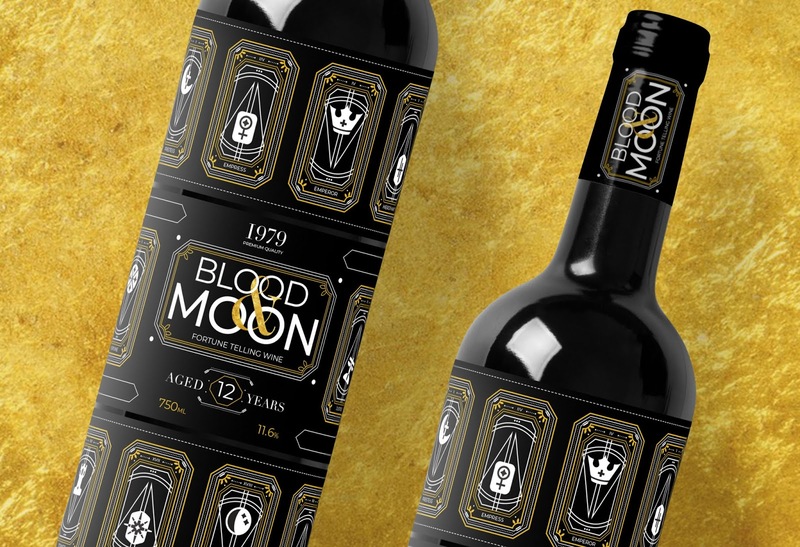 When viewing the label, it taps into the darker side of packaging design to create a unique experience. Tarot readings have been around since the 1400’s, and this will be a new age take on the 22 classic “Major” Arcana cards. All the symbols are hand-designed and completely original. 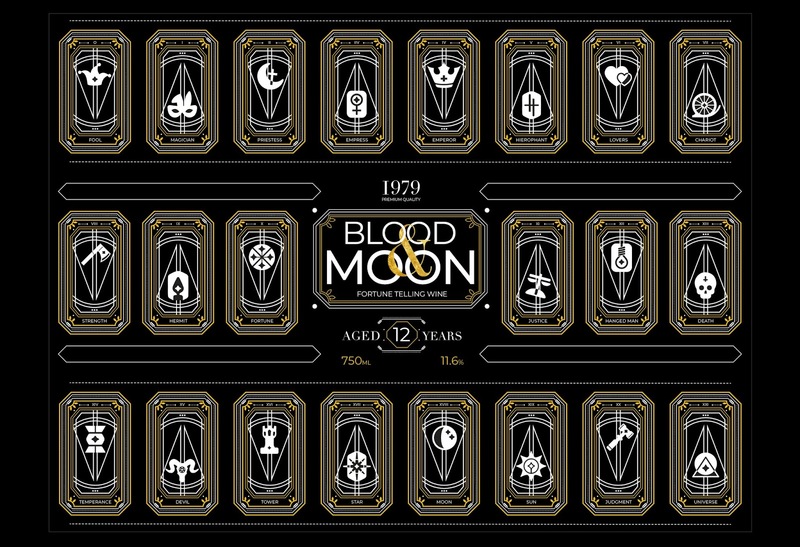 The label depicts 22 tarot cards that will help guide the viewer to their fortune. 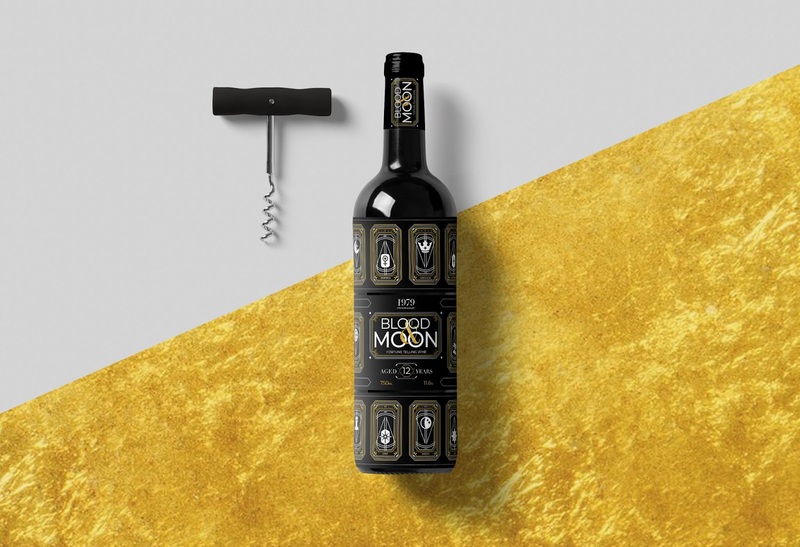 The innovative and unconventional aspect of the wine is to have the tarot reading fully determined by a candle in place of the cork. Once you light the candle the anticipation begins. The candle will slowly drip down the bottle, cascading over different symbols to reveal your tarot reading. There will also be a small guide with instructions and definitions that will help you decipher your reading. This experience can be alone or with a group, and will leave you memorized from the process.